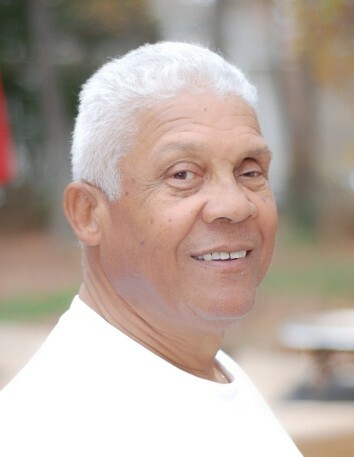 Armon Henry Jacobs, 75, of 160 Kitty Fork Road, passed away Friday, February 1, 2019 at Sampson Regional Medical Center. Funeral service will be held at 3 PM, Monday, February 4, 2019 at New Bethel Baptist Church, with the Rev. Mitchell Brewington, Rev. Wilda Faircloth and Rev. Kent Jacobs officiating. Interment will follow in the church cemetery. The family will receive friends one hour before the funeral at the church. Armon, born in Sampson County in 1943, was the son of the late Rev. Lloyd Henry Jacobs and Lydia Mae Simmons Jacobs. He was in automotive sales and attended New Bethel Baptist Church and was a veteran of the United States Marine Corps. In addition to his parents he was preceded by brothers, Elton Howard Jacobs, Lungher Vinson Jacobs and Gurry Nelson Jacobs. Survivors include: Daughter, Desiree Basilovecchio (Anthony) of Lancaster, PA., Jonathan Jacobs (Tiaesha) of Charlotte, Jason Jacobs (Janet) of Matthews, NC and Marcus Jacobs of Miami, Florida, and their mother, Laura Kaye of Lake Wylie, SC, Carrie Shuler (Michael) of Cullowhee, NC, Byron Thurston Johnson (Tajuana) of Albemarle, Timothy Johnson of Norwood, NC, Crystal McFaul of Albemarle, NC and Paul Arnold; nineteen grandchildren, and one brother Lowrey Jacobs of Fayetteville.